A composting toilet is a little bit different than the traditional flushing toilets and macerating toilets like Saniflo. 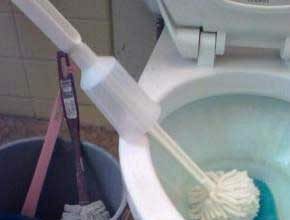 It does not use water at all like the traditional flushing or macerating toilet does. Even though it does no use any water and it may sound creepy so some people, a composting toilet has less odor than a flushing toilet. In addition to taking care of the human waste; it gives you pure nutrient enriched natural fertilizer for your garden! 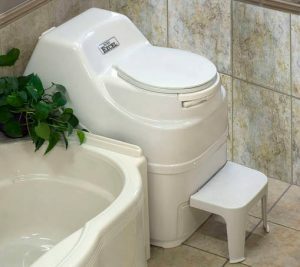 If you live in an RV or in a municipal area where using the septic system is expensive or not practical, a composting toilet is your ultimate solution. Along with the toilet paper, it must compost the human waste as quickly as possible and it has to be odorless. The ultimately produced compost has to be safe to handle and use. The liquid human waste has to be evaporated using the venting mechanism. Now that we have discussed what composting toilet is and what it can do, let’s learn how does it work actually. I will also add a YouTube video so that you can clearly understand how does it really work. But till then, stay with me. Many manufacturers apply different approaches to make their composting toilets work. But I will tell you the basic operation of a composting toilet. Maybe you already know that human waste naturally decomposes but the process takes a lot of time. But decomposing human waste with a composting toilet lets you have compost fertilizer which does not contain any odor because it does not have the pathogens or any kind of viruses. Now, a composting toilet almost follows the same rule to decompose the human waste. You may already know that human solid waste contains almost 90% water. With the evaporation mechanism, it vents out the liquid and the remaining solid waste converted into useful compost fertilizer that you can use safely. That ’s the simplest explanation of how do these toilets work, but now I will go a little deep. You need to concentrate here. 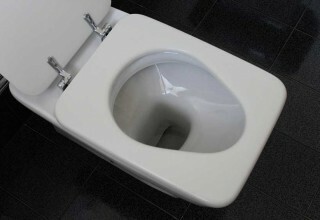 Composting toilets do not follow the mechanism of traditional flushing toilets. Because a composting toilet does not use any water, so there is no mechanism to flush. There are usually 3 or more chambers in each composting toilet to perform the different task of decomposition independently. Of course, how many separate chambers there will depend on totally the manufacturers. In general, there are only 2 basic parts of a composting toilet. The sitting/squatting part and the chamber. The squatting part lets you sit comfortably to clear your bowel and your poop and urine go to the chamber. The chamber is also known as the collection unit or decomposition unit. The collection/decomposition unit has several parts depending upon the manufacturer. But basically, there are storage chamber and ventilation unit. The poops get stored in the storage chamber for decomposition. It is the place where the human solid waste and liquid get separated and waits for natural break down. The ventilation systems enhance the degradation process. Using the system, all the liquid get evaporated. Some manufacturers use heat to stimulate the process faster. In the composting chamber, the aerobic organisms play the key role to convert the waste into composting fertilizer. And by aerobic organisms I mean bacteria, fungi, worms, and insects etc. The aerobic bacteria can perform the enhanced activity when the solid and liquid waste gets separated. In the chamber, there is a mechanism to separate the two. It is important to note that, you must add some additives like ash, straw, sawdust etc to make the decomposition process faster. To have smell-free compost material, the composting toilet must have the mechanism to continually separating the liquid from the solid waste. Meanwhile, the aerobic organisms will slowly break down the human waste into useful smell-free compost material which you can use safety in your garden. You may need to periodically empty the finished fertilizing soil from the chamber. Different manufacturers have the different mechanism to do this. You need to follow their guide particularly for that. Empty chamber becomes again ready to receive new human waste for the decomposition. 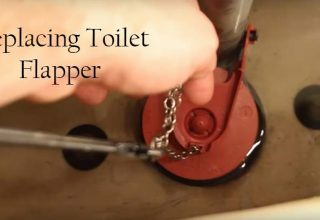 Now, watch the video to understand how a composting toilet works. I believe you have now understood how composting toilets work. 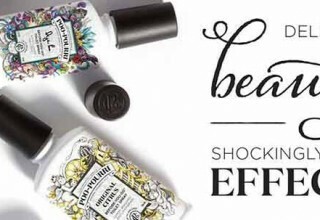 You don’t use it unless it becomes a must for you because of various situations. 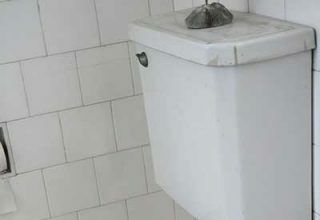 People who are environmentally conscious also prefer composting toilet. 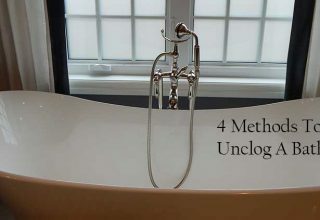 Previous article How To Make A Small Bathroom Look Bigger? Next article How To Increase Water Pressure In Shower?